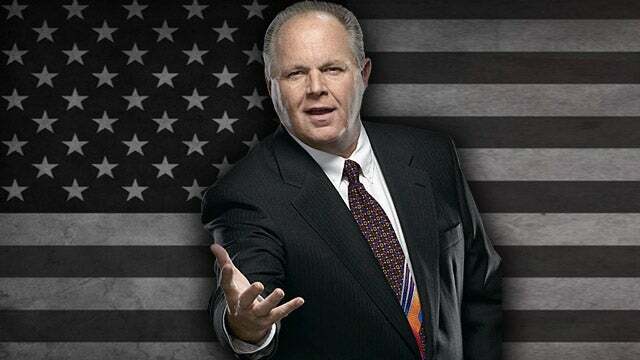 RUSH: You know, I’ve been telling you to keep a sharp eye out for Mayor Pete. And you know, something’s happening because of this. Well, I say “because of this.” I think it’s very, very risky to assume that I have anything to do with what’s happening here with Mayor Pete. Even though, after I watched that first CNN town hall with these presidential candidates, I did say keep a sharp eye out for Mayor Pete, and the guy’s number three, and he shocked everybody by announcing he’s raised $7 million. He’s 37 years old, mayor of South Bend, Indiana. His dad was an avowed Marxist. 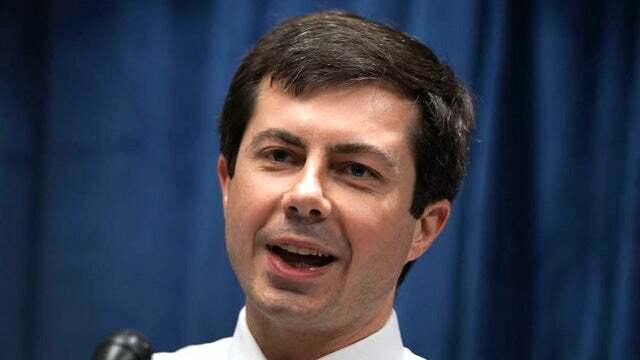 Mayor Pete is really Buttigieg, is one of the pronunciations. And his definition of freedom — we talked about this yesterday — his definition of freedom is really odd. In Mayor Pete’s world and in the world of socialists, any adversity is considered a threat to their freedom. Adversity could be opposition. So here you have Mayor Pete as a liberal Democrat socialist believes X, Y, and Z. And here come people that don’t believe X, Y, and Z, Mayor Pete’s view is that they are a threat to his freedom. And he’s not alone. I think it’s a very useful thing for everybody out there, all of you to try to remember as you keep track of American politics and the left says and does things that just sound completely illogical and nonsensical until you understand how they think. And it’s even risky to say that they think. They are more programmed. But it’s really helpful to understand these people if you realize that any opposition to what they want, either in a job, a career, or political issue, they think is a personal assault on their freedom. Therefore, they believe that government is the grand entity that should always protect their freedom, even if that means telling you to shut up. And if you think this is too far out there, I want to call your attention again to Christiane Amanpour. By the way, you don’t have say that as just a bunch of syllables. You learn early on, her name is Christiane Amanpour. But you don’t say it that way. You say Christiane Amanpour. It’s like Joe Montana was one word. Christiane Amanpour is one word. Thankfully, Comey said it’s not the government’s business to get in the way of what people say. Thank God. It’s this thing called the First Amendment, free speech, political speech. But Christiane Amanpour is demonstrating she didn’t want to hear “lock her up.” People saying that, that’s an assault on her freedom, it’s an assault on who she really believes. Put these people in jail, arrest ’em. This is what they think. It’s how they think. So they think they have a God-given right to freedom, they’ll say it’s right there in the Constitution, it’s right there in the Declaration of Independence, freedom, pursuit of happiness. Well, they consider any obstacle to what they want a threat to their freedom, which of course is absurd. Freedom does not mean getting everything you want, including the elimination of political opponents or any other obstacle standing in the way, but that’s one of the things they think is a proper government role. So the snowflake movement is born, and all of this speech suppression is occurring on campus because they’re just protecting their freedom. Well, that’s who this guy is. So Mayor Pete, now a nationally known figure and probably due to some extent because of the notoriety extended to him by me on this program and forum, Mayor Pete’s getting bold. Mayor Pete’s started to feel it. Mayor Pete’s beginning to think that it may actually happen, that Mayor Pete may actually get the Democrat nomination. So Mayor Pete’s starting to make even more bold statements. No, you’re not, Mayor Pete. You’re not reluctant, you’re eager. And he proved it. He said, “I’m reluctant to comment on another person’s faith. But I would say it is hard to look at this president’s actions and believe that they’re the actions of somebody who believes in God. But Mayor Pete wasn’t through. Mayor Pete criticized conservatives. “Saying so much about what Christ said so little about, and so little about what he said so much about, like how the issue of abortion has become a litmus test.” Wait, Mayor Pete. Let’s unpack this. ‘Cause this is the kind of stuff that he was doing in that town hall that was dazzling people, but he’s not saying anything. Well, Mayor Pete, God gave us the Ten Commandments, and one of the Ten Commandments, Mayor Pete is, “Thou shalt not kill.” And abortion, Mayor Pete, kills, especially the way you Democrats have modified it now. You are legalizing abortion up to and including after birth. And in several states when these laws have passed, the legislators gave themselves, as they exalted themselves, Mayor Pete, standing ovations. They gave themselves standing ovations, liberal politicians, refusing to humble themselves before anyone, gave themselves standing O’s for passing laws allowing the killing of a baby born alive. So here we have a gay, pro-abortion Democrat mayor judging the spiritual beliefs of anyone by signaling out conservatives as people who say so much about what Christ said so little about, meaning conservatives put words in Christ’s mouth that Christ never said. And then conservatives say so little about what Christ did talk about. You say it’s hard to look at Trump’s actions and think he believes in God? How in the world, Mayor Pete, can you or anybody else in your party even claim to have reverence and belief in God when one of the political litmus tests your party requires is the support of and the belief in the killing of babies?